﻿﻿Speaker: Kay Compton, founding partner of Compton Design Office. Previously design partner in charge of commercial and mixed-use projects for the global architecture design firm NBBJ. Process - permitting, government agencies and public processes in a development project. Mike Fong is Mayor Ed Murray's Chief of Staff. In this role, he is responsible for planning and overseeing the daily operations of the mayor's office. He is also Mayor Murray's strategic lead for his Executive team to advance the Administration's agenda around building a safe, equitable, affordable and vibrant Seattle for all. ​Prior to his appointment as Chief of Staff, Fong served as Deputy Director of the Mayor's Office of Policy and Innovation, helping to advance Murray's policy agenda, specifically in the Seattle Preschool Program and in the creation of the Seattle Parks District. Fong has also served as the Mayor's primary liaison with members of the City Council. 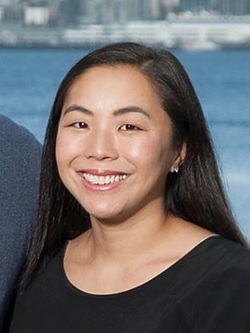 Prior to joining the Mayor's office in 2014, Fong worked for the Seattle City Council for 14 years, including serving as lead policy staff to Council members Heidi Wills and Tom Rasmussen, and as a policy analyst on the City Council's Central Staff. Fong was born and raised in Spokane. He graduated from the University of Washington in 1999 with a bachelor of arts in political science. He is a 5th-7th grade youth basketball coach with the Seattle Chinese Athletic Association and the Seattle Parks Department. He lives with his partner, Laura, in Wedgwood. Michael will share his experience in the city government. Vinita Natawijaya completed her MBA from University of San Francisco. She then decided to help her family business. She became the managing director of Kopi Luwak and she is the third generation of the family business. Kopi Luwak is well known in Indonesia and Asia but there is less knowledge about Kopi Luwak in the western world where Vinita sees a huge potential to present and to share the story behind it. Vinita recently relocates to Seattle and her passion is to introduce Kopi Luwak to North America. Vacation rental marketplace has been booming in the last decade. In 2012, U.S. travelers booked $23 billion in vacation rentals, which made up 7% of the U.S. travel market and 20% of the lodging market. The global market size is now with $85 billion. 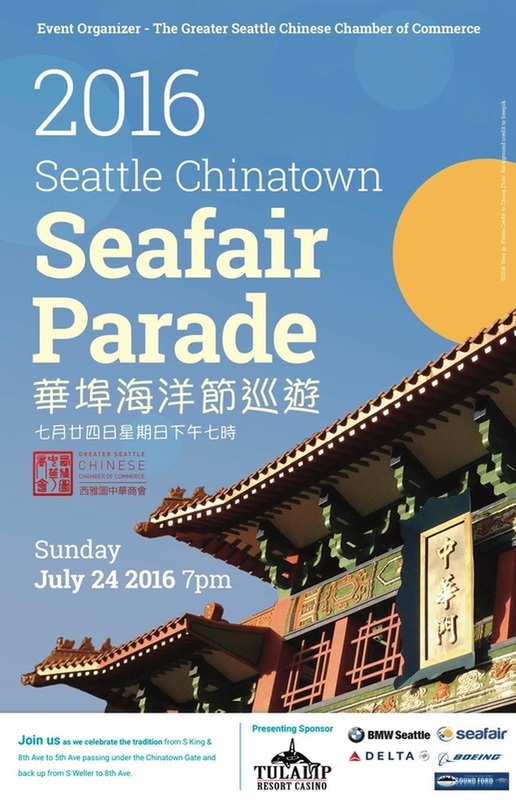 As one of the fastest growing cities, Seattle has attracted many tourists, especially from China. 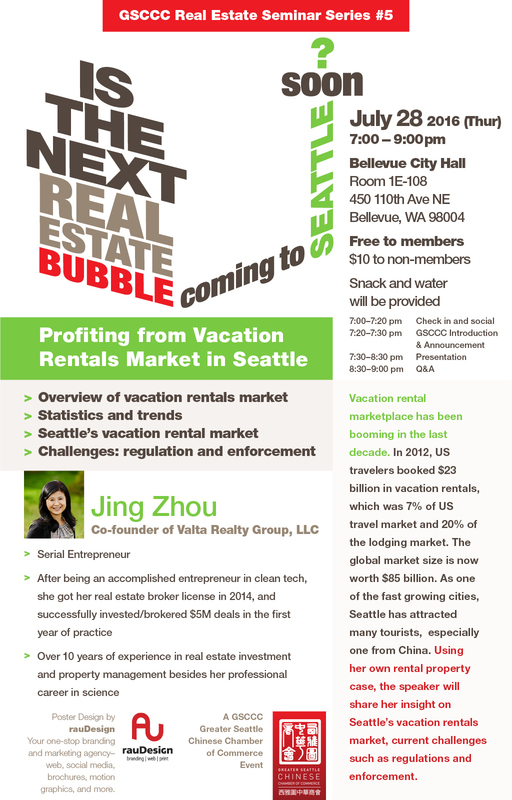 Using her own rental property case, Jing will share her insight on Seattle's vacation rental market and current challenges such as regulations and enforcement. In the past few years, Chinese buyers accounted for 40% of the luxury residential market in the Seattle Eastside. With the slowdown in the Chinese economy and stricter foreign currency controls, how these changes impact the Seattle market in the future and what does one need to know to benefit from the Chinese investment. Mary I. Yu was appointed to the Washington Supreme Court by Governor Inslee on May 1, 2014, after serving 14 years as a trial court judge in King County Superior Court. She is currently running for a full six-year term and will be on the November ballot. Prior to her appointment to the bench, she was the Deputy Chief of Staff to King County Prosecutor Norm Maleng and the Director of the Peace and Social Justice Office for the Archdiocese of Chicago. Justice Yu earned a B.A. degree in Theology from Dominican University in River Forest, Illinois, a M.A. degree in Religious Studies from Mundelein of Loyola University in Chicago and her J.D. degree from the University of Notre Dame. The daughter of immigrant parents, she is the first in her family to receive a college education. She is the first Asian American to serve on the Supreme Court and the first woman of color to be elected to a statewide office. 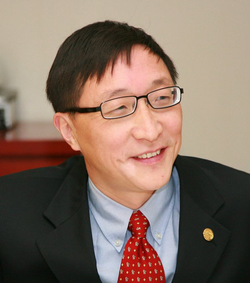 Justice Yu is a frequent speaker for legal education seminars and is active in a variety of community and professional activities. She has been the recipient of over a dozen awards and has been rated Exceptionally Well Qualified by every bar association rating her as a judge. Full CV on Justice Yu. Mandarin Luncheon - General introduction to U.S. bank loans types and how to obtain one to meet your needs. Martin Liang has been working in the banking industry since 1994 after received his M.B.A.in International Finance from University of Hawaii at Manoa. 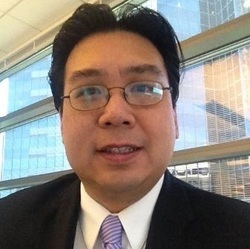 His banking career started as a management trainee with Central Pacific Bank based in Honolulu, HI and relocated to Seattle area when he was recruited by a Seattle based bank in early 2000. He also worked for Cathay Bank and East West Bank, respectively, in branch management and business development primarily serving local Chinese community. Presently he is the Senior Vice President and District Administrator for Cathay Bank overseeing the bank operations and total growth in the region. His areas of specialties include both residential and commercial lending, construction loans, business line of credit and international trade finance. He is also experienced and knowledgeable in various government guaranteed loan programs including SBA loan programs and U.S. EXIM Bank’s import/export trade finance. Mr. Liang was originally from Jiangsu, China and taught English Literature in a college before left the country in 1988 to pursuit his advanced degree in the U.S.
Ron Au is the founder and creative director of rauDesign. 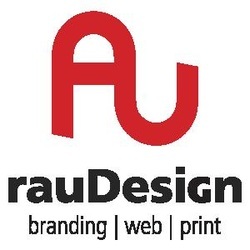 Since 2008, he has been relentlessly helping small and medium-sized businesses with their branding and visual communication needs while building up RauDesign’s capabilities. As a successful entrepreneur and investor, James has used his skills and network to build his real estate business starting with single family houses. Most recently, James co-founded SolTerra Cities, and for the past three years has built a $100+ million portfolio of multi-family properties in Seattle and Portland regions. 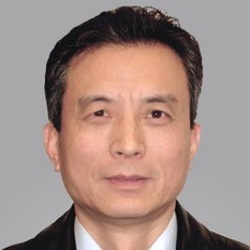 Dr. Dongsheng Zang is the Director of the Asian Law Center & Chinese Legal Studies and Associate Professor of Law at the University of Washington. 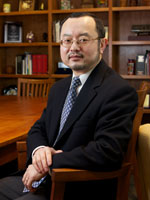 Professor Zang joined the faculty full-time in 2006, after serving as a visiting professor in 2005-06. 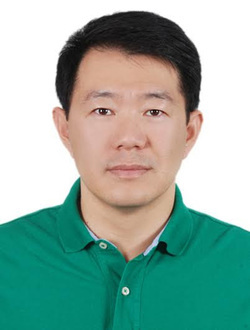 His academic interests include international trade law, and comparative study of Chinese law, with a focus on the role of law and state in response to social crises in the social transformation in China. He holds an S.J.D. and LL.M. from Harvard Law School, in addition to his LL.M. from Renmin University (Beijing) and LL.B. from Beijing College of Economics. His doctoral dissertation, One-way Transparency: The Establishment of the Rule-based International Trade Order and the Predicament of Its Jurisprudence, was awarded the 2004 Yong K. Kim '95 prize. He was a research fellow at the East Asia Legal Studies at Harvard Law School during the 2004-05 academic year. 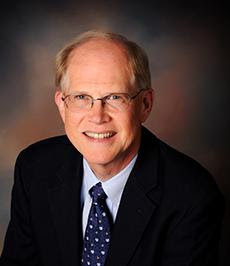 Dr. Larry Nyland was appointed by the Seattle School Board as the interim superintendent in August 2014 and was hired as the permanent superintendent in January 2015. He leads Washington State's largest K-12 school district, with 8,000 employees and 52,000 students. In 2014 the previous Seattle Public School Superintendent Jose Banda left Seattle after only 2 years on the job. Dr Nyland came out of retirement and stepped into this job at a difficult time. Now, after almost 2 years in this position, Dr Nyland would like to share with Seattle parents his strategic plan for closing the gap for Asian students, and likely a bit more, too. Are there anyone who are cured from cancer? How can I contribute and participate? 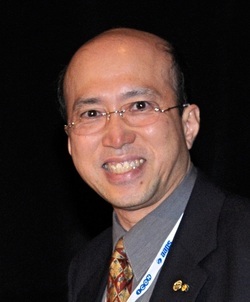 Dr. Ho has received top honors, including the prestigious Dawson Biotechnology Award and the AAPS Biotechnology Research achievement. His innovations have provided the basis for product development for Seattle life-science companies, including Impel NeuroPharma and Nova TheraNostics. Increasingly, EB-5 investments have become a popular option for real estate developers looking for an attractive source of capital while allowing them to obtain a U.S. Green Card with $500,000 of investments. 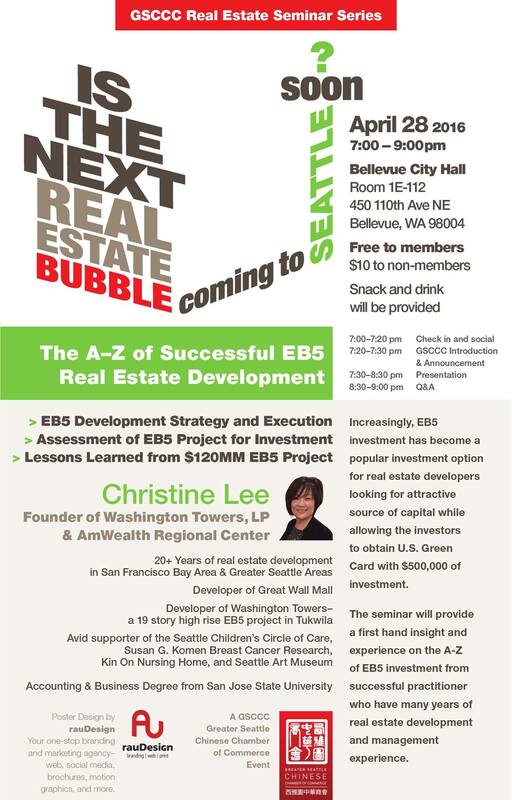 In this seminar, Christine Lee will share first hand insights and experiences regarding her successful EB5 investment as well as her many years of real estate development and management experience. This is the second event in our series of monthly seminar on real estate investment. 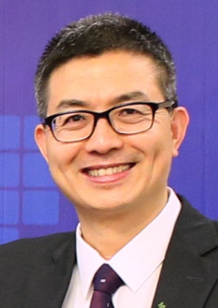 David Mao is a PRC registered and licensed attorney practicing law at Shanghai Pioneer Law Office, one of the oldest downtown law firms in Shanghai. 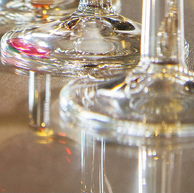 As a part of the Pacific Northwest Law Group, Shanghai Pioneer serves its clients from a PRC law perspective with its expertise in areas such as foreign investment and trade, banking, securities, corporate and commercial matters. The firm also has constant working relationship with Perkins Coie. David has over ten years of practice experience in China focusing on foreign direct investment in China. Prior to Shanghai Pioneer, David worked as a foreign legal consultant for various international or US firms such as Baker & McKenzie, Herbert Smith and Davis Wright & Tremaine. He had worked as a trade finance officer at the Bank of America. David is counsel for Shanghai Overseas Chinese Chamber of Commerce, Pudong Overseas Chinese Chamber of Commerce and Wujin Chinese Overseas Office in Jiangsu Province. "人脈是金，朋友無價" (Network is gold, friendship is priceless). We believe that businesses and careers will grow naturally if we cultivate relationships while working hard. Come and join the Trade and Business Development Committee of the TGSCCC for our first Business After Hours event. Meet new people, make new friends, and build lasting relationships and connections, all in a casual and engaging atmosphere. This event is for all business people and professionals who want to network and establish meaningful relationships with each other. We will also be presenting the TGSCCC’s business program for 2016, where you may discover new business opportunities. Refreshments and light appetizers will be offered. Full menu available upon request. Real Estate Seminar - Is the next real estate bubble coming to Seattle? The Chamber is proud to present our first seminar in a series of talks on real estate investment. Housing prices has recovered about 50% from the bottom, and Seattle has benefitted from the existing world-class knowledge-based economy, with new job creation, relative cost advantage, and the influx of Chinese investors. But with uncertainties created by the drop in oil prices, slowdown in the Chinese economy and stock markets, rising interest rates, and shortage of housing inventory in Seattle, what's the future of the housing market in Seattle? Y.P. Chan, Principal of Chanden Inc., will discuss what investors need to do in order to benefit from the upside of this changing market while hedging against risks. Dr. Teng received his first degree from Zhejiang Medical University in 1985. Three years later, he received his Master of Science from West China University of Medical Sciences. Dr. Teng practiced dentistry in China until 1993 when he was brought to America by the University of Washington to be a research scientist. An ardent believer in continuing education, Dr. Teng completed his Master's of Arts and obtained an Orthodontics Certificate from Columbia University in 2000. Since then, he has been practicing orthodontics in the great Seattle area. He is a member of American Dental Association and American Association of Orthodontists. Miye is a third generation Chinese-Japanese-American born and raised in Seattle. She studied architecture at Yale University and worked at Mithun Architects for over 10 years before joining Uwajimaya, her family business, in 2012. 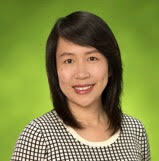 Currently she is a project manager for The Publix development, as well as other special projects for Uwajimaya. She continues to live in Seattle with her husband and two young daughters. The Publix combines the renovation of the historic Publix Hotel with a newly constructed six story structure on the site of the former Uwajimaya Grocery store. Opening in the summer of 2016, the project will consist of 125 apartments and 12,000 sq ft of restaurant and retail space. Miye will discuss the history of the project, features of the design and how she sees the project contributing to the vibrancy of the Chinatown-International District. 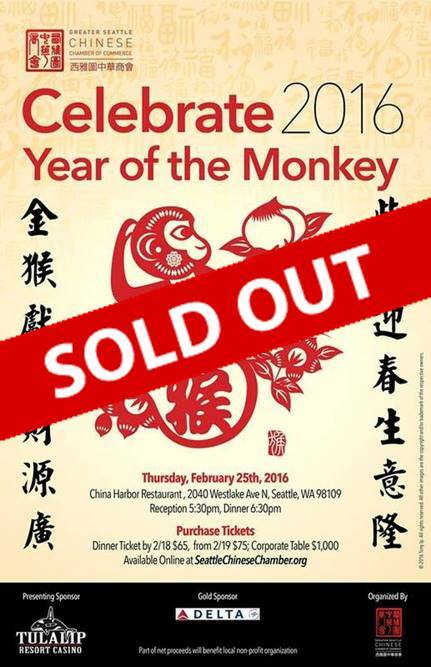 Join us for an evening of good food and friends at the Chamber’s Chinese New Year (Year of the Monkey) annual banquet. 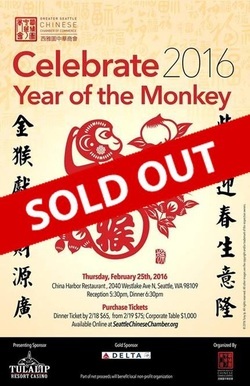 Feb 8 update: The 2016 new year banquet is sold out, thank you for all your interest. We are honored to have Mayor Ed Murray joining us and we look forward to seeing everyone on Thursday, February 25th. Will Chen, CPA, has a Bachelor's and Master’s degrees in Accounting from the University of Iowa and a Master's in Business Administration from Western Washington University. Prior to establishing his accounting firm in 2012, Will was an external auditor for the national public accounting firm McGladrey (now RSM US); and an internal auditor and financial manager of a Fortune 200 public company, Kimberly Clark Corporation. Will's professional accounting and consulting areas of emphasis have included individual and small businesses tax and accounting services, annual and strategic business planning, organizational development, business process improvements, financing, profit enhancement programs, and other general business advisory services. Will is very enthusiastic about community service. 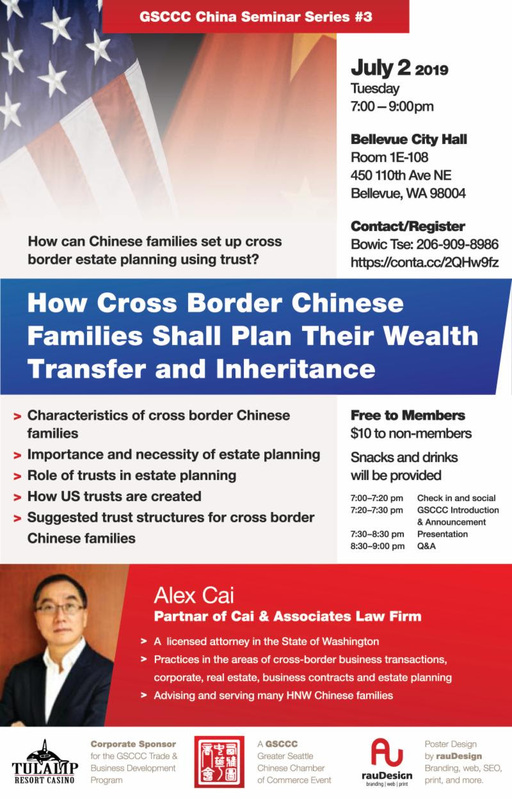 He is the treasurer of Chong Wa Benevolent Association; as well as one of the board of director for the Bing Kung Tong Association and Seattle Teochew Association. Will is also passionate to cultivate a new generation of accounting personnel. He is currently a lecturer at Edmonds Community College. With over thirty years of experience, he has served public and private companies as controller, chief financial officer, and general counsel. He is a graduate of Loyola Law School in Los Angeles and is licensed to practice before federal and Washington state courts. He is admitted to practice before the U.S. Patent and Trademark Office and is a seasoned intellectual property portfolio manager and litigator. Additionally, he is licensed as a Certified Public Accountant in Washington. Our speaker, Jun Lu, is currently an Escrow Officer/LPO at Chicago Title of Washington, helping her clients with the need for residential and commercial transactions. Jun received her Master's degree in Agricultural and Consumer Economics from the University of Illinois at Urbana-Champaign in 2000. Currently, she is a member of AREAA. She is also certified Real Estate Instructor to teach clock hour class. 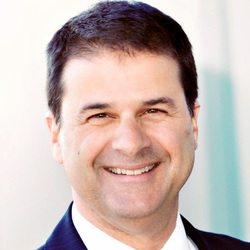 Our speaker, Daryl Campbell, joined Seattle Goodwill as the President and CEO in August of 2014. Prior to Goodwill, Daryl served as the Vice-President and then Interim President at ShorelineCommunity College. During his six year tenure, he drove a strategic planning process resulting in increased targeted enrollment, higher quality programs, and a more stable financial profile.